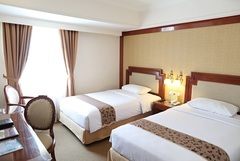 Golden Boutique Hotel Melawai's Executive Twin Room will supporting your accomodation. Executive room have large 23 square meters which located in the edge of building, we provide for window to sightseeing Blok M Area. 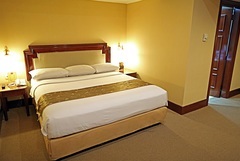 Golden Boutique Hotel Melawai's Executive Double Room will supporting your accomodation. Executive room have large 23 square meters which located in the edge of building, we provide for window to sightseeing Blok M Area. 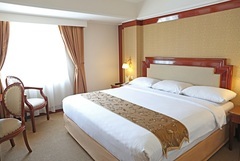 Golden Boutique Hotel Melawai's Junior suite is measuring 48 square meters luxuriously appointed at the corner of building. 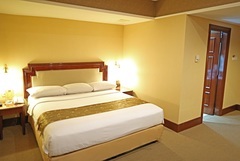 Each rooms are equipped by a king-size bed and living room to support your business or make conversation with your family. the Junior Suite has a view to Blok M Area and back view area. 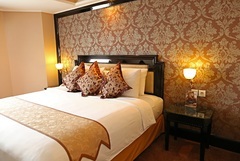 Golden Boutique Hotel Melawai's President Suite Rooms is the largest (92 square meters) fully equipped with luxurious facilities and services. 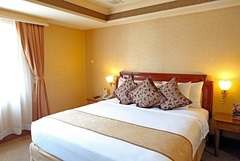 The President Suite has 2 double bed rooms and one of room equipped with bathtub to enjoy your day.